CBC was the first school in St. Louis to offer a formal leadership curriculum. 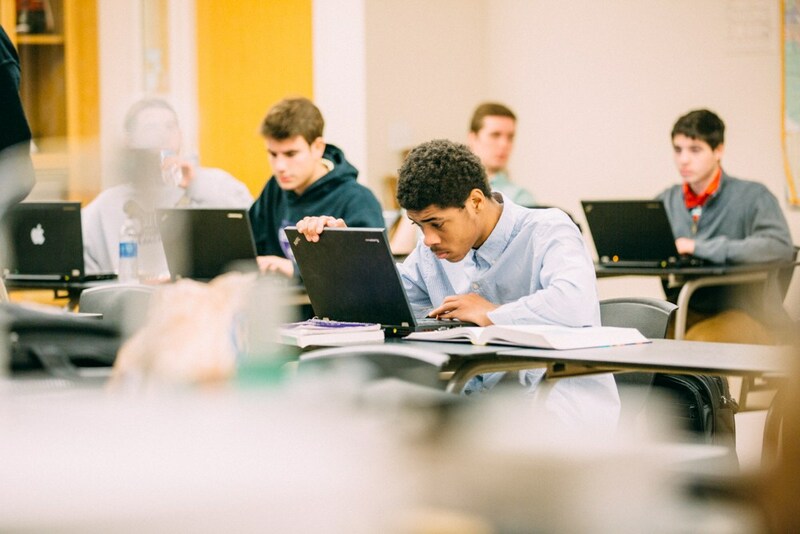 We push our young men to develop the skills necessary to become transformative leaders by providing the best instruction and the most leadership opportunities of any school in the area. This is a key component of the CBC experience. This focus on developing the leaders of tomorrow is made possible through more than 250 leadership positions available to our students. Providing our students an opportunity to lead new initiatives and develop their skills is yet another example of CBC’s commitment to being a student-centered school. The Student Leadership Council (SLC) is empowered to lead the student body in achieving a variety of ambitious goals. Since its inception, the SLC has worked alongside our faculty and administration to enhance the overall student experience at CBC. 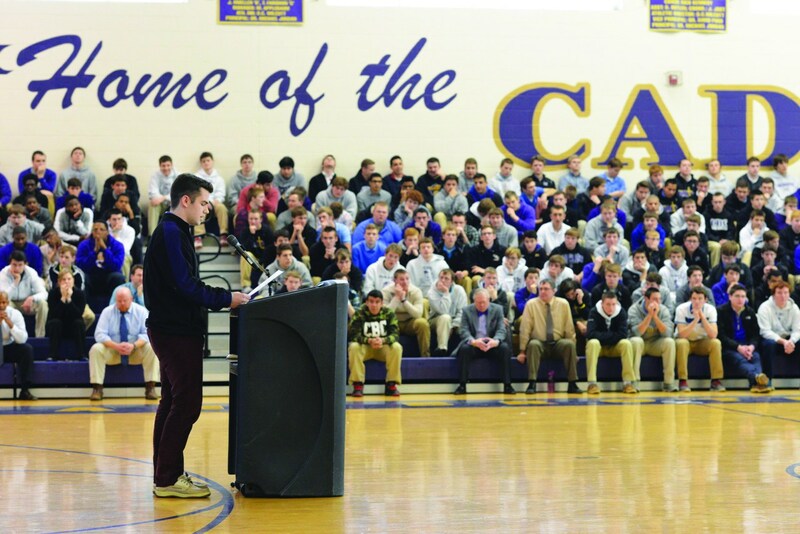 The SLC’s goals is to promote school spirit and increase participation at school-wide events while advancing the highest ideals of brotherhood and unity within the school community. To learn more about the SLC, visit our website at www.cbcslc.org. Unlike any other class at any other high school, this course introduces students to the character traits and skills essential to providing strong leadership. Through their examination and analysis of the achievements, failures, and life-lessons of successful leaders, students will gain an understanding of what it takes to lead others, thus gaining confidence in their own abilities to lead. Guest speakers to the leadership program have included Maxine Clark, founder of Build-A-Bear Workshop; David Steward, founder and chairman of World Wide Technology, Inc.; Dave Peacock, former President of Anheuser Busch; and Lt. Gen. (Ret.) Mark Hertling ’71, former Commanding Officer of U.S. Army forces stationed in Europe. Members of the National Honor Society (NHS) exhibit a strong commitment to academic achievement. Their scholastic performance, school involvement, citizenship, and service are the basis for their nomination and selection to the program. NHS members perform various duties around the school, including an annual blood drive. Each Freshman Advisory class includes two upperclassmen who serve as mentors to the younger Cadets throughout their freshman year. These mentors play a critical role in helping freshmen adjust to high school and maximize their CBC experience. 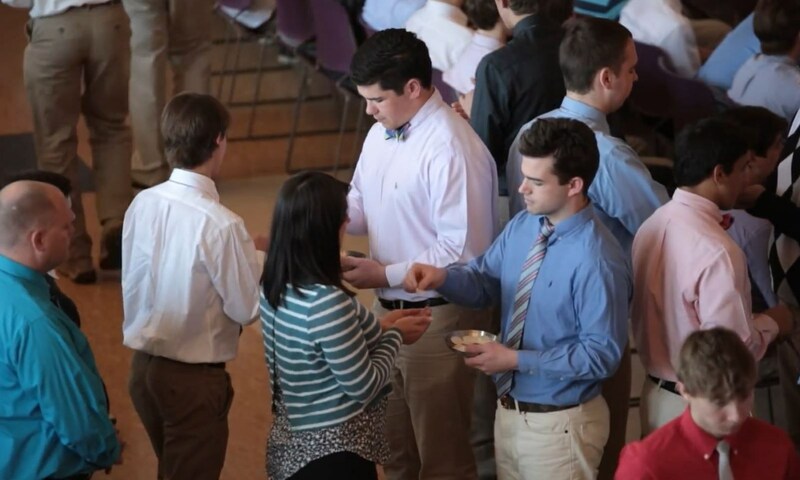 Ambassadors are a select group of students who represent CBC to the community in various capacities. Open to sophomores, juniors and seniors, the members of this program serve as hosts for campus guests, including diginitaries, alumni and 8th grade students participating in the Junior Cadet Shadowing Program.